Sustainia published “Hack the Future of Development Aid” for the Ministry of Foreign Affairs of Denmark in collaboration with blockchain currency platform Coinify, to investigate how new blockchain-based innovations are impacting development aid challenges. Blockchain has for some time been surrounded by hype as a potential market disruptor, but the discussion has been limited by confusion and misunderstandings. The public sector can be slow on the uptake of new technologies and understanding how they can best be utilised. We demystified how blockchain can support development goals by providing examples of transparent, secure, and impactful responses to crises around the world aided by blockchain. We developed a common language for both the public and private sector to discuss opportunities surrounding blockchain for development aid. The report explores how cryptocurrencies can enable faster and secure financial transfers to regions that need it the most. In addition, contracts and other legal papers can be digitalised to combat corruption, provide more effective development aid, and better protect the rights of marginalised groups. The report was presented in December 2017 with government ministers and blockchain innovators present at the UN City Copenhagen. It is clear that if we are to succeed in relation to the Sustainable Development Goals, we need digital and technological solutions. Denmark is at the forefront when it comes to innovation – also in the development cooperation. That is why I am proud to present this report. 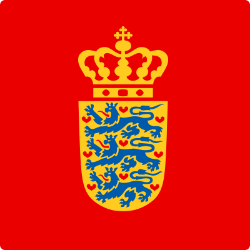 The Danish Foreign Ministry assists Danish and international companies with export and investment promotion services, as well as fighting for an international set of laws and universal human rights. The ministry also has an ambitious focus on the sustainable development agenda.